Portugal have not won their opening game at a major tournament in the last four attempts and the Euro 2016 champions may succumb to Mexico in their Confederations Cup Group A clash in Kazan. The European kings are leaving no stone unturned in their quest for another title and have selected a full-strength squad. All eyes are on captain Cristiano Ronaldo, who was a Champions League winner just 15 days ago and will be determined to add another medal to his collection. Any team with Ronaldo in has a certain aura but Mexico tend not to be fazed by big teams with massive reputations. They were drawn in the same group as hosts Brazil at the 2014 World Cup and were the only team to take point off the Samba Stars in a 0-0 draw in Fortaleza. And Mexico have gone from strength to strength since then. They won the 2015 Concacaf Gold Gup without losing a game and are in a commanding position at the top of their World Cup qualifying group, three points clear of second-placed Costa Rica and six ahead of third-placed USA. Colombian head coach Juan Carlos Osorio has been in charge of El Tri since October 2015, three months after their triumph at the Concacaf Gold Cup, and is doing an excellent job. Mexico have lost just two of 24 games with Osorio in charge and warmed up for the Confederations Cup by drawing 1-1 at home to USA in a World Cup qualifier in Mexico City on Monday. Playing such a big match on the eve of the tournament should give them a competitive edge and they may be better prepared than Portugal, who were barely tested during a 3-0 victory away to Latvia in a World Cup qualifier nine days ago. Ronaldo starred against the Latvians with two goals and rising star Andre Silva was also on target, netting his seventh goal in eight international appearances. Silva's emergence – he sealed a £33.6m transfer from Porto to Milan earlier this week – could take some of the burden off Ronaldo and help Portugal build on their Euro 2016 triumph. However, while Silva has taken steps forward, Bayern Munich midfielder Renato Sanches (who was part of Portugal's Euro 2016 final winning team) has gone backwards, starting just four league games this season, and has been left out of the squad. Portugal's extra-time 1-0 success over France in the Euro 2016 final was an amazing achievement bearing in mind Ronaldo was injured in the early stages. But they took a long time to settle into the tournament and only just scraped through the group stage as one of the best third-placed teams. They drew group-stage matches against Iceland (1-1), Austria (0-0) and Hungary (3-3) and must start better in Russia or risk an early elimination. There is little room for error in a group which includes two other strong teams in Mexico and tournament hosts Russia so it is important for Fernando Santos's side to hit the ground running. 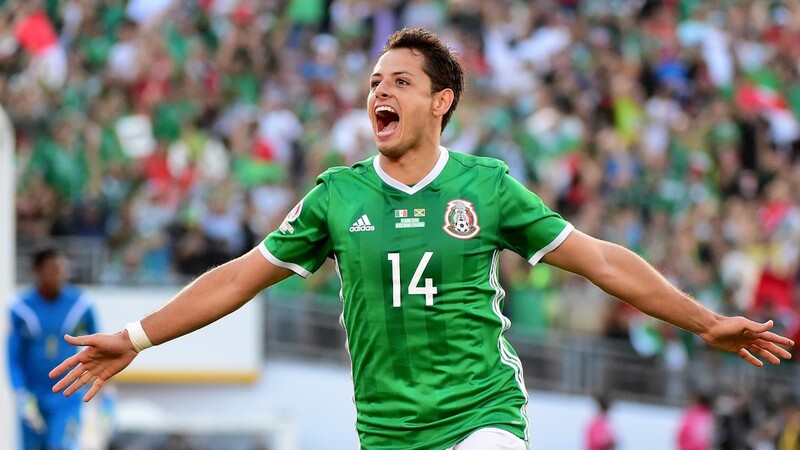 However, Mexico, finely tuned by their recent match against the USA and spearheaded by prolific striker Javier Hernandez (scorer of 47 goals in 92 matches) will be tough opposition. The Mexicans started strongly at World Cup 2014, beating Cameroon 1-0, and at last year's Copa America they opened with a 3-1 win against Uruguay. They often fly out of the blocks at major tournaments and are decent value with the draw no bet to stun Portugal. Joao Mario picked up an injury in the 4-0 friendly victory at home to Cyprus and was left out of the squad. Porto winger Jesus Corona withdrew from the squad due to injury and was replaced by Jurgen Damm. Mexico have lost just two of their last 36 matches.